It feels good to see a celebrity who has principles and moral standards for herself, how many of our female celebrities thinks the way she does!!! 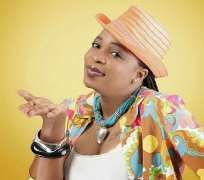 Top yoruba Actress Kemi Afolabi sees no reason why a woman who is happily married with kids will still be caught wearing bikini. "For me, style means comfort and I am not a designer freak. I would never wear a bikini now. I would have worn that before I had my baby, but I am a mother now and I cannot wear bikini."